- Big 18" Fairy Wand with Magic Spinner Ball! 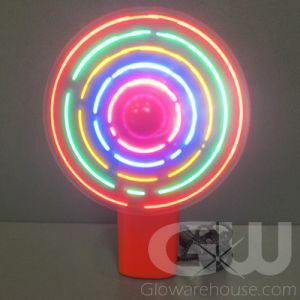 - Bright Magical Spinning Lights! 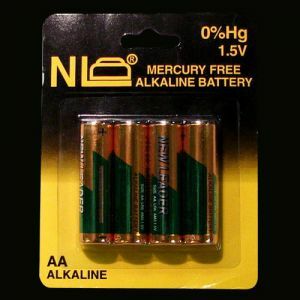 - Creates a Musical Fairy Sound When Activated! 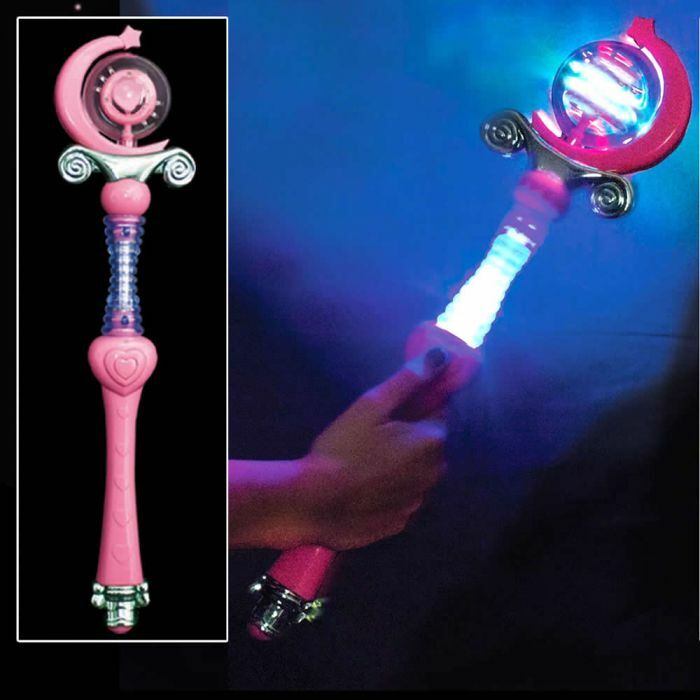 - A must have LED Princess Wand for all ages! 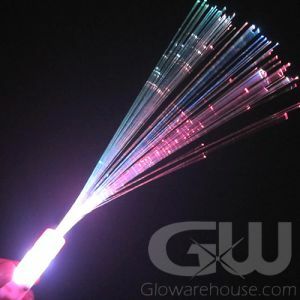 Spinning LED Fairy Wands come in Pink, Purple, and Blue. 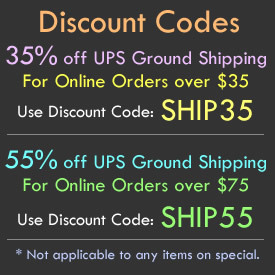 We'll make sure you'll get all three colors! Calling all Wizards! 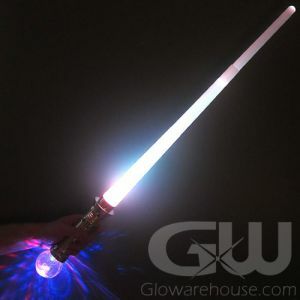 Giant Magic Glowing LED Fairy Wands with Spinning LED Lights are here! 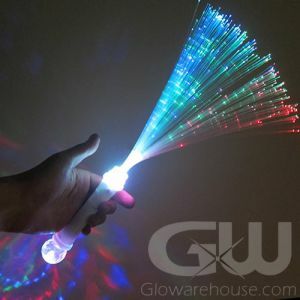 The Magic Glow in the Dark Princess Wands are 18 inches long and have a magic ball with spinning LED lights that create a fantastic light show when turned on! And when you turn it on the magic fairy sound is created! 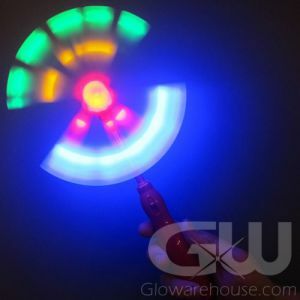 The Giant Magic LED Spinner Wands are a must have at princess or magic themed birthday parties, make fantastic costume accessories and are just plain fun for kids, magicians and good and/or bad witches of all ages, shapes and sizes! The Glowing Fairy Wands comes with 3 pieces of AA Batteries that are already installed (and are replaceable). Can be used to ward off Trolls, Hobgoblins and Manticores. Not for use against Pixies or Gnomes.